The Asona Aberade Shrine established at Philadelphia in 1977, is one of the first training and resource centers for the development of Akan spiritual traditions and culture in America. The Shrine was founded by Nana Okomfohene Akua Oparebea and twenty one African Americans who saw the need for a spiritual center based on African beliefs and customs to liberate and promote healing amongst the African American community. The parent shrine of the Asona Aberade Shrine is located at Larteh/Kubease in Ghana West Africa. The Nana Akonnedi Shrine is one of Africa's oldest mystery schools of spiritual and psychic healing. This Shrine's popularity in America began during the reign of Nana Okomfohene Oparebea, chosen master shaman of the shrine and occupant of the stool from 1957 until her passage into the spirit world in 1995. This strong, determined women of extraordinary vision and healing powers trained over 5,000 akomfo (shamans) during her tenure. 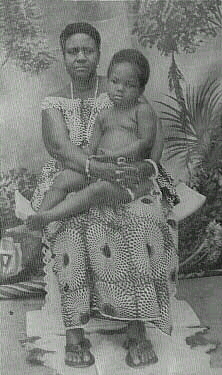 Nana Oparebea first visited the USA in 1971. Revered as the Mother of Akan spiritual traditions in America, she made frequent visits to teach the protocol, train akomfo and established the Akan shrines and traditions which have become vital to the survival of African American culture.